Chocolate, chocolate and more chocolate! Do you know anyone who doesn´t like it? I bet there are many, many more of those who adore it! 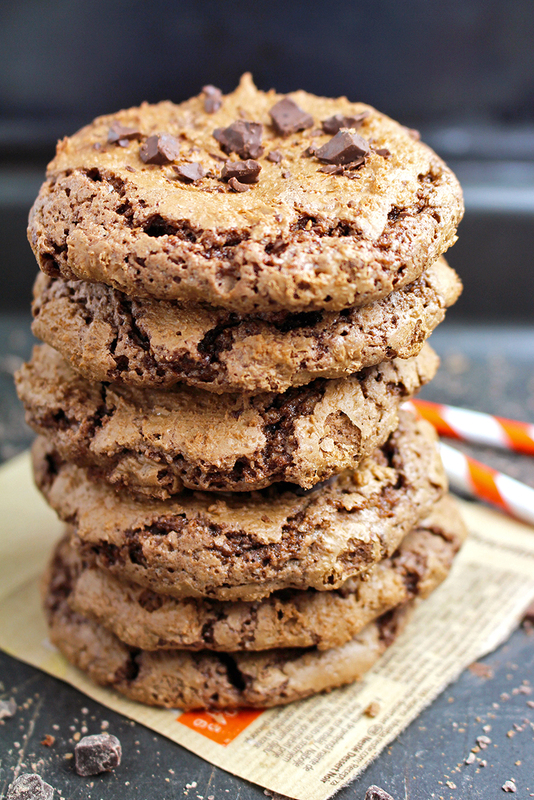 Chocolate Chocolate Chunk Cookies recipe just for you.. There are soooo many chocolate treats and chocolate cookies are just one of them. 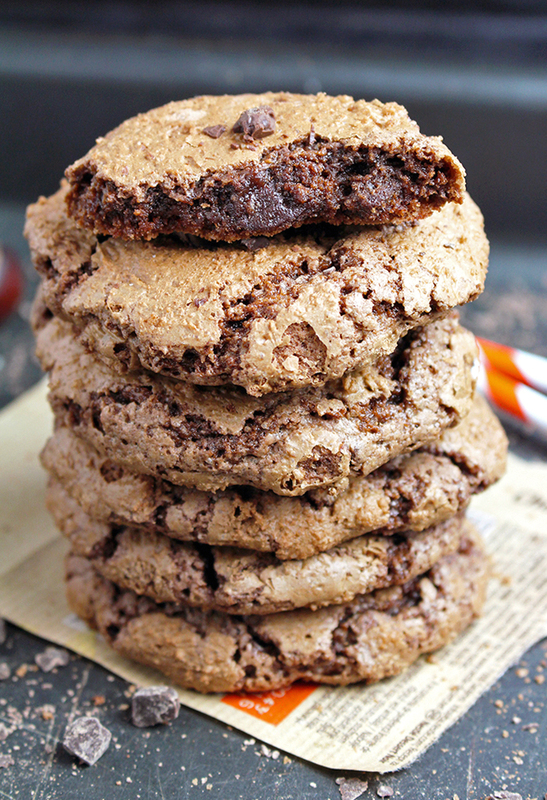 Chocolate chunk cookies are actually a double chocolate pleasure. My son loves them. He is always so happy when I bake the cookies and he can hardly wait to taste them. 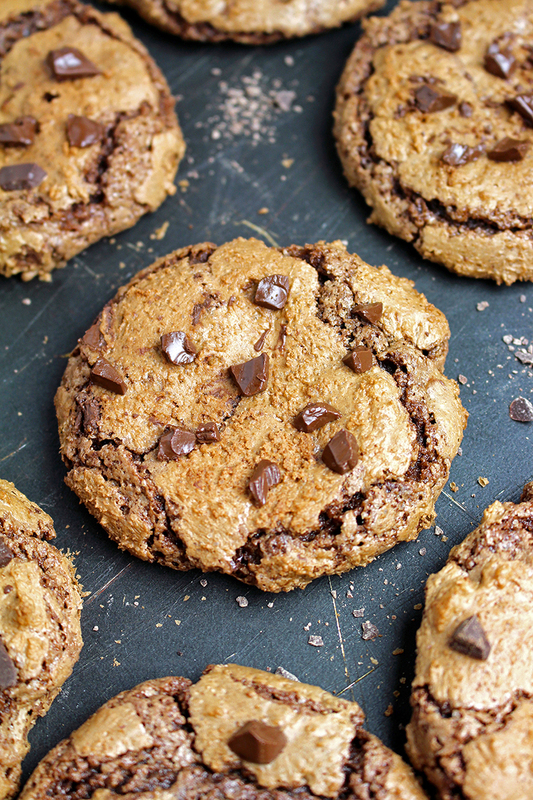 All you chocolate fans will love these chocolate chunk cookies. They are crunchy outside and soft and juicy inside – a real chocolate treat. Not so difficult to prepare and you can enjoy their taste for a couple of days. These delicious cookies that taste sooo good and that everybody like bring full chocolate flavor. Check out for the other our chocolate treats… No Bake Chocolate Hazelnut Cookies and Chocoholic Chocolate Chip Muffins. Chocolate, chocolate, more chocolate to come in our delicious, interesting recipes. For begging, try to make this quick and easy cookie recipe.. I bet that you will not regret it..
All you chocolate fans will love these chocolate chunk cookies. They are crunchy outside and soft and juicy inside – a real chocolate treat. Preheat the oven at 350 degrees. Line two baking sheets with parchment paper. Combine flour, cocoa, baking soda and salt in a large bowl. Leave aside. Pour some water in a medium sized dish and put on a medium heat. Put pieces of chocolate in a smaller dish, and place it on the larger dish with water in it (it must not touch the water) and stir until the chocolate melts. Leave it aside to cool. Combine softened butter and sugar in a medium sized bowl using electric hand mixer, adding one egg at a time. Mix it well for a couple of minutes using maximum speed, until it becomes creamy. Add melted chocolate and vanilla and stir until well combined. Combine the mixture with the dry ingredients and stir until well combined. Finally, add chocolate chunks and leave it for 5 minutes to rest. Drop the dough on a baking pan lined with parchment paper. Make sure to leave about 2 inch space between the cookies. Leave them to cool and enjoy them for a couple of days. You will get 15 cookies, of about 2 inches.